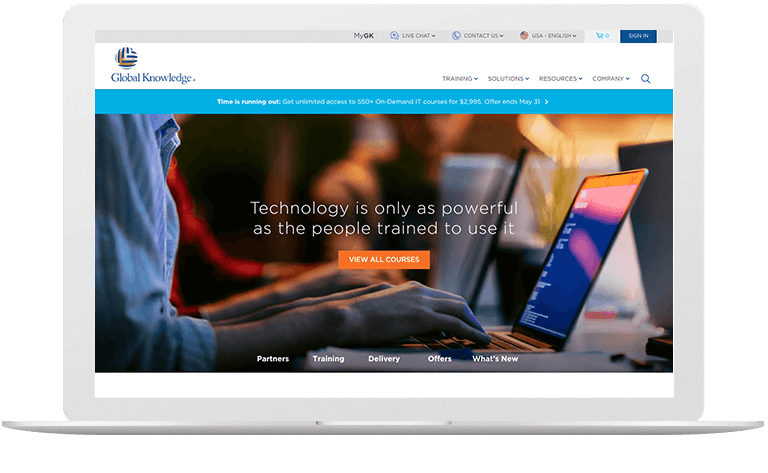 Global Knowledge provides training and technological education to the employees of Fortune 500 companies and small businesses alike. They worked with 200,000 individuals in more than 100 countries and 11 languages within a year. Despite their worldwide reach and increasing revenue, Global Knowledge still felt that they were not fully performing. 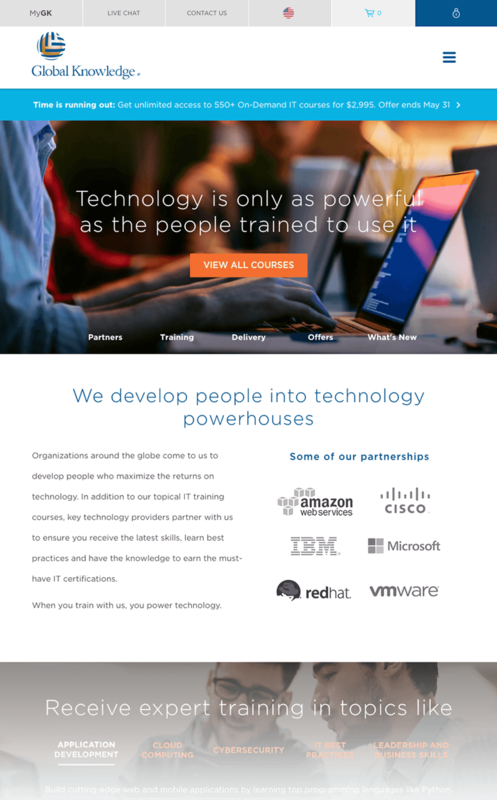 Offering over 4,100 courses, the Global Knowledge website, and the employees managing it, the business had plenty to juggle. 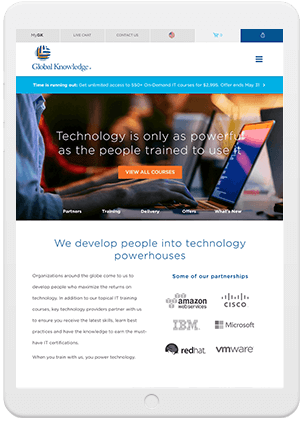 The legacy site was relying on dated technology, creating a UX that was not in line with the standards that Global Knowledge maintained and valued. The enrollment and check-out process was complicated and confusing for users, leading to a high abandonment rate at the finish line. Global Knowledge had high quality content and services that were difficult to find. Atlantic BT knew that the primary focus of the project was an optimal UX for Global Knowledge consumers and employees and started rebuilding the website from the ground up. Research was instrumental in paving a path forward. ABT doubled down on the discovery process with high-level analysis to best determine how users instinctually navigated the site and what their most common needs were. 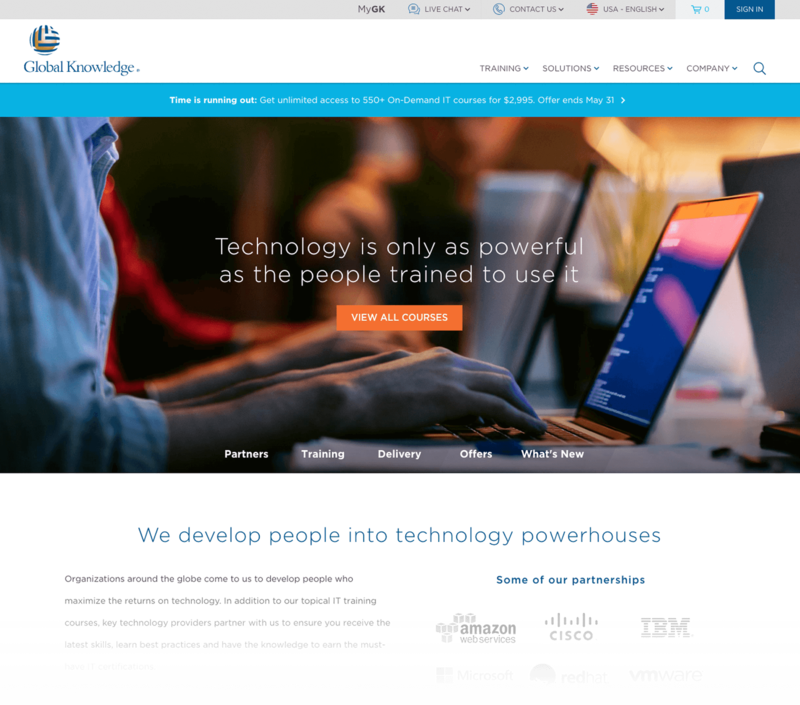 Global Knowledge was in need of an overall modernized website. To ease the checkout process, boost the website’s user-friendliness, and update the framework for global use; Atlantic BT pinpointed key improvements. A new checkout process, responsive design, enhanced framework, and clean information architecture were put into place to achieve results. ABT restructured the site’s information architecture for a cleaner and more effective UX. This included an improved site search feature and student registration capabilities that were easy and intuitive. The new check-out feature was established to be as easy as possible and lead to increased conversions. The new site was built to autoscale to fit any screen size, making the content accessible to mobile users. The framework of the site was built to support International Website Strategy. This feature allowed Google to recognize different nationalities based on region or language, thus establishing access for users around the world.